Former journalist and retired attorney Steve Ringhoff has never lost his thirst for the truth nor his dedication to research. Read more of Steve’s work here. Not that long ago, The Modesto Bee arrived with an audible “thump.” Now, the paper, unwrapped, would simply flutter on down like a large leaf. We were spoiled. For many years, The Bee was a much bigger and better paper than a city our size deserved. Now, long-time readers wonder if it’s worth the price, even though no one with a phone pays the rack rate. 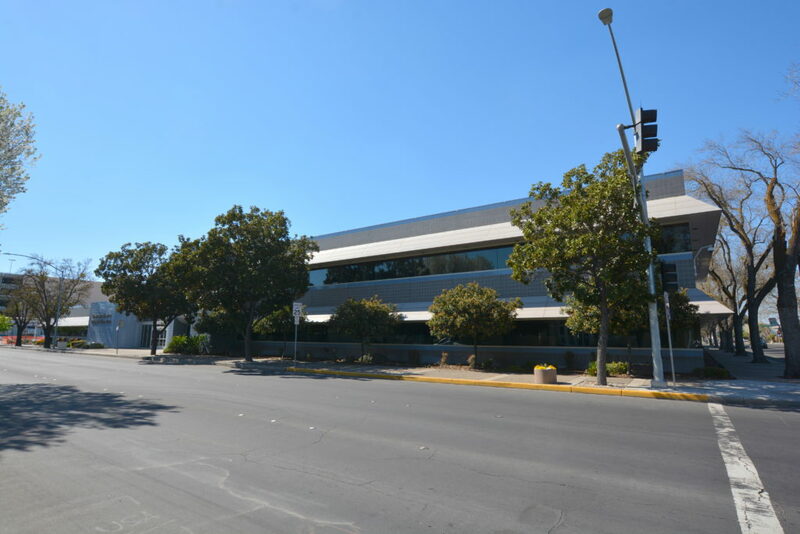 We got the benefit of being part of the family-owned and operated McClatchy chain, but some bad timing, bad luck and a touch of hubris now has The Modesto Bee tethered to a dying behemoth. The McClatchy Company is now the second largest chain by circulation in the country, but it is burdened with overwhelming debt and swimming with the Wall Street sharks. Credit default swaps are in play—remember them? Up Front: This article argues FOR a local NEWSPAPER in Modesto. It could be The Bee, it could be a startup, but it must be a newspaper. It must be something printed, ink on paper, not in some “cloud” somewhere. It must be something vetted, trusted, accountable, and holding others to account in a permanent form. It must be something not easily dismissed or buried in the chaos of the internet. Its form projects its function. This is not a “get off my lawn” rant of an old guy, even if written by one. This is something of a “chicken little” piece, that reference further dating me. 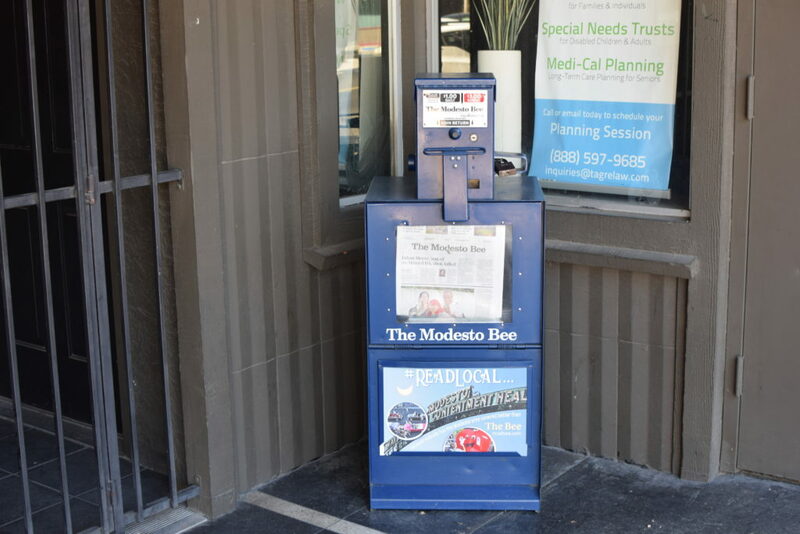 The printed edition of The Modesto Bee may be circling the drain, as are some or all of the 30 papers owned by The McClatchy Company. McClatchy’s latest annual report (March 7, 2019, SEC 104) detailed about $735,000,000 in long term debt and dramatically decreased print advertising revenues and print circulation. It has unfunded or underfund pension obligations in the tens of millions. McClatchy is owned, in part, and in debt to, the same family of hedge funds that owns American Media Inc. (AMI), majority owner of the National Enquirer. The manager of the funds, Anthony Melchiorre, and David Pecker, who runs the Enquirer, dine with President Donald J. Trump. Neither is a “plus one” at those dinners. One Wall Street commentator speculated that the loan made last year by the hedge funds to McClatchy was a “loan to own” and that ultimately McClatchy might be rolled up into an entity with The National Enquirer. One Wall Street risk commentator gives McClatchy as high as a fifty percent chance of bankruptcy within a year. Today, the expressed hope for the future existence of McClatchy lies in digital news production. Most, if not all daily newspaper newsrooms across the country—Modesto included—display large video screens detailing for the reporters and editors in real time the stories that are driving the online traffic, getting the most hits. McClatchy, in its press releases and in its filings with the Security and Exchange Commission talks about transforming or transitioning to a digital format. The long term question is whether the digital revenue will sustain a robust news gathering force. 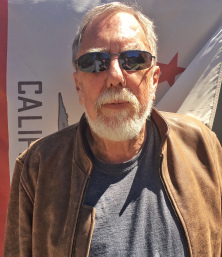 The Bee’s newsroom staff is a shadow of what it was before a combination of factors sparked the first round of cutbacks, layoffs, consolidations and golden handshakes like the one given just recently to Mike Dunbar, the longtime editorial page editor. It follows similar handshakes given in the recent past to Ron Agostini, Nan Austin and columnist Jeff Jardine. Eons of institutional memory vanished with their departures. If we are generous with the count, the current newsroom staff is a few less than 20. It once was 80, with half again as many part-times, stringers, etc. We will come back to the present in a bit. McClatchy family ownership of a newspaper dates back to before 1884 with the Sacramento Bee. In 1922 McClatchy launched the Fresno Bee. 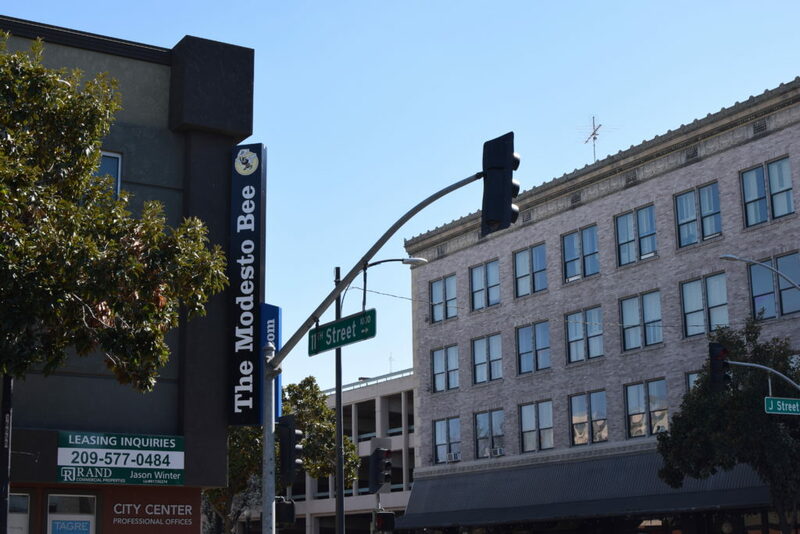 In 1927 McClatchy bought the News-Herald in Modesto and six years later renamed it The Modesto Bee. It is not until 1979 that McClatchy started buying other papers, starting with the purchase of the Tri-City Herald in eastern Washington State. In 1986 it bought the News-Tribune in Tacoma, WA. Two years later the big change was made—McClatchy went public with two types of stock, one held by descendants of the original McClatchys, and the other for the public. The family owns the voting stock. Generations removed from the founder, some family members wanted to cash out all or part of their holdings. Golden boy Greg Pruitt, hired as general counsel and ultimately elevated to CEO, adopted an “eat or be eaten” view of how to run what is now a public company and which must make a profit for its shareholders. He convinced the board that expansion should include big bites in addition to the little bites it had made buying up a number of small papers. In 1998, Pruitt audaciously, and secretly, bid for the Minneapolis Star Tribune and its subsidiaries. He got his prize for $1.2 billion (with a “b,” billion). It is the highest price ever paid for a newspaper. (It was later sold for about half the purchase price). But that buy was small potatoes compared to what McClatchy swallowed in 2006. The Knight Ridder chain was acquired for $4.5 billion (again with that “b”). The buy was largely leveraged. Since the Great Recession and growth of the internet, McClatchy has had to deal with greatly diminished earnings from its newspapers. What they did earn was largely used to pay back debt, and interest on that debt. The debt has since been refinanced with layered corporate bonds, indentures and other structures coming due at various times up through 2029. Credit default swaps have been bought and sold, betting on whether or not McClatchy will default on its debt. (This is way too complicated to explain here, even if we could). On March 7, McClatchy filed its annual 10k report with the SEC. It listed long term debt at just north of $700 million with substantial underfunding of its pension obligations. Chatham Asset Management and a family of hedge funds controlled by Mr. Melchoirre now own about 20 percent of the Class A Common stock, making them the largest individual shareholders. Chatham funds also most of the long term, structured debt with the interest running as high as 9 percent. McClatchy over the last several years has paid billions in debt, but it has done so by using all of its net earnings for debt repayment, along with the sale of assets, including real property. Sales included the Modesto Bee’s 14th and H Street square block facility and the mothership’s Sacramento Bee building at 21st and Q Streets. Furloughs have been imposed—week long periods in which first level managers have gone without pay; they’ve been specifically instructed not to contact their offices or staff for any reason to avoid later claims for back pay. This seems akin to cashing in pop bottles or couch diving to make ends meet. The bottom line is that McClatchy is at risk of default. One Wall Street outfit says the risk is as much as 50 percent in the next 12 months. It gives the company its worst risk rating. The bond and loan documents are complex but when you examine the signature pages you see that McClatchy and all of its subsidiaries, including all of its newspapers, are co-borrowers, or guarantors. The financial problems are not unique, except in scope, as more than 1,800 newspapers have folded in the past ten years. McClatchy’s solution seems to be transforming itself into a digital news source. This would eliminate production and delivery costs and presumably provide the same news, just in a different format. The question is whether digital news is committing the same original sin which has caught up printed papers. Newspapers never sold for the cost of production and delivery, but subsidized the cost with advertising sales. So, when Craigslist and the real estate website killed classified ads, a big chunk of revenue went away. If internet advertising revenue slumps, the digital edition will face the same fate. Right now,Google and Facebook are vacuuming up much of the online advertising. Eventually, with cookies, when a vendor gets your data, why would they need to advertise? They’ll just show up on your searches. Publishers had hoped that there would be a point where print subscriptions plateaued, and that level would be strong enough to support the print edition as well as the digital. What’s the problem? Well, for one thing use of the internet has the reader deciding what to read. They read what they want, not what they need. In a perfect world that would be fine, but studies have shown the online readers are not drawn to important civic news, for example. Instead, they bite on click bait. The real need is for something “bundled.” The different sections and articles of a newspaper provide the readers with a broad range of content in one package. On the internet, readers “skim, scroll or passively absorb news, much of it ‘pushed news,’ according to the Cairncross Review, a UK study of the future of journalism. Another problem arises with the phenomenon of “instant gratification.” Remember the big electronic board in The Bee’s newsroom? What draws more hits, “baby left in trash can,” or, “City Council Approves Rezoning”? What effect does that have on the reporter? The advertiser? It is believed that reduced local coverage leads to decreases in voting interest and funding issues like higher municipal borrowing costs and higher taxes. So, we have laid out the problem. What’s the solution? A solution may not be evident but moving towards it is something that cannot wait. The British are toying with the idea of a tax. Foundations are considering grants. More than one former newspaper executive has suggested is it akin to a “civic duty” to subscribe to your local paper. Obviously, given its tenure, continuation of The Bee, severed from the debt of McClatchy would be the easiest and most certain way to keep a daily newspaper in Modesto. A start-up would not have the legacy cost but also would not have the subscription and advertiser lists, nor production and delivery relationships. So, what to do? Talk among yourselves! Sources: McClatchy websites; McClatchy’s SEC filings, quarterly and annual; Chatham Asset Management’s SEC filings and its websites; Audit Bureau of Circulation audit reports; American Journalism Review, August/September 2003; The Cairncross Review, UK February 2019, and various Newspaper websites. Note: Managing Editor Brian Clark said he could not grant an interview and referred me to corporate communications. I had previously asked corporate communications for updated figures on Chatham stock holdings and total debt holdings without a response, so did not seek an interview about this story. I wonder how the Courier, Irrigator, Leader, Journal, and others are doing? This is a sad but interesting article. It too bad that Mc Clatchy attempted to be big player in newsprint. I was a subscriber to the Modesto Bee until there was very little local news I decided it was not worth the subscription cost. I have found that ALL digital news I believe is worst then the old printed news. It impossible to print local Stanislaus County stories form the East coast. Therefor for news i have listen to local TV News and ABC. NBC CBS CNN etc. This could effect a free society.. The best outcome would be if a group of local citizens bought and published the Bee. Stanislaus Connections had a circulation of about 4000. It was an all volunteer paper run with a grant from a local non-profit. I have not seen a copy of it in awhile. Lots of good I nformation, Steve. I thought Brian was editor of The Bee, not managing editor. Mike Dunbar and much of the editorial staff before him was out of political alignment with this community. We are all bettered when we can review and understand perspectives from multiple sides. The Modesto Bee went from leaning left under Judy Sly to ranting left under Mike Dunbar. I recently renewed my subscription the day that Garth Stapley became the opinion editor. I hope that the Modesto Bee again becomes a valuable forum to the community. Video killed the radio star and the internet and digital media has pretty much twisted the knife in backs of the print media. It’s hardly anything new and it’s not just the Modesto Bee that is bleeding. Newspapers and magazines have been bleeding money for years. Times have changed. People’s choices have expanded and as a result so have their habits. Great journalism. 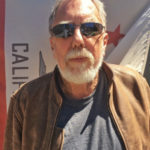 As a reader of the Bee for almost 70 years, and an attorney in Modesto for almost 50 years, I may disagree with some of the conclusions, but definitely agree with the following: (1) the importance of the newspaper to our democratic society, including our community, and (2) the uncertainty of the future of the Bee. Duane: Like many, I’ve been frustrated and even angry at the decline of the Bee, which I believe hit its peak in the 80s. But I agree with you that we need a strong local newspaper, now more than ever. The chilling thought of that paper being owned by the publishers of the “National Inquirer” or the likes of Rupert Murdoch haunts me. Have you ever seen anyone under 35 years old reading a newspaper? The only people that read newspapers are old fogies that consider liberalism to be a form of infectious disease….especially in an agricultural community. Modesto is my hometown be as it may these days it’s sad that our wonderful Modesto Bee I feel is dying a slow death. In elementary school kids could have a newspaper route and reading the paper was a nightly ritual, especially the cartoons. Dear Abby or Ann may have saved some marriages as well. 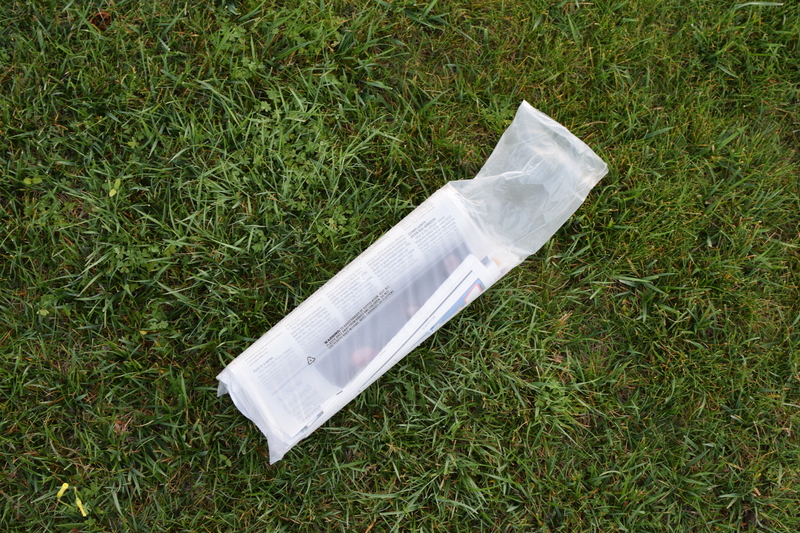 And the Sunday morning delivery of the most important paper of the week, a Sunday morning ritual that most homes enjoyed. My mother even had the Bee sent to me when I lived in Chicago in 1976 so I could keep up with my hometown. I discontinued the Bee several year’s ago as the content could not justify the cost. But thank you to all that made the Bee what it was and gave us…a sense of community. I like the idea of a publicly funded news source. If the money was there, the content would be too. But if I can’t get a straw in my drink in San Fransisco, I doubt the I’ll see the rebound of single use items like a newspaper, especially with all the associated costs of printing and delivery. The junkheads will always seek out the worst content and be fooled by various online tricks. Word will always get around where the good stuff is. Trust the online world for perfection — no. But hoping for a revival of the print days might be wishful. I agree JT; I’m happy to read my news online now, though I certainly resisted at first. For really meaty stuff, I still prefer a book, but the day when I had to hold a newspaper in my hand to appreciate it is long gone. Sentiment keeps me on the Bee subscription list … along with a price that I have to bargain every time my subscription expires. That’s a very fine and well researched article, Steve, but it has one ironic error that’s not your fault. It is dated March 17 and mentions the Scene section in passing. Last Friday, March 22, there was no Scene section in my paper or reference to such a section in the digital Bee. One more tiny loss on the path to the graveyard.